A few weeks ago, we reported that chip giant Intel was going to ditch its socketed CPUs after Haswell in favor of BGA package design. The news shocked many enthusiasts PC builders since such an approach from Intel would limit the amount of upgrade you can make on their future platforms since BGA package permanently solders the CPU on the mainboard compared to LGA socket which gives you the option to replace. 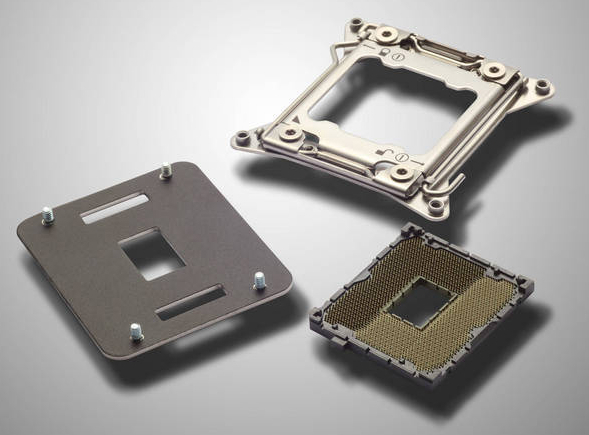 AMD has a long history of supporting the DIY and enthusiast desktop market with socketed CPUs & APUs that are compatible with a wide range of motherboard products from our partners. That will continue through 2013 and 2014 with the “Kaveri” APU and FX CPU lines. We have no plans at this time to move to BGA only packaging and look forward to continuing to support this critical segment of the market. This assures that enthusiasts still have hope even if Intel adopts the BGA package, they would still have AMD who would deliver the freewill to upgrade with their AM3+ platform which is meant to stick till 2014. This could also hurt many of the industries small motherboard manufacturers who prepare Intel chipset based motherboards on LGA socketed designs. Intel has yet to respond on this matter that if they are indeed heading for the BGA route or wish to keep LGA socketed CPUs for the time being. The switch to BGA package would happen with the arrival with Broadwell making Haswell the last socketed CPUs from Intel. However this doesn’t rules out the HEDT platform from Intel which would still stick to LGA package with the launch of Ivy Bridge-E next year and Haswell-E in 2015.